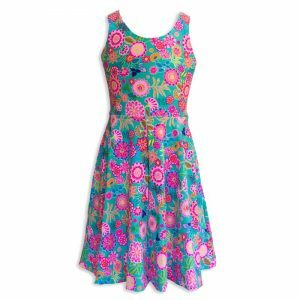 Adventure in this lightweight, easy fitting sundress. 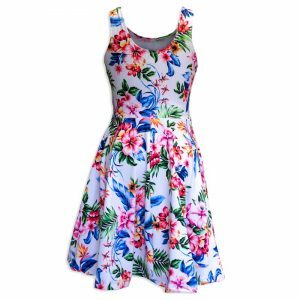 Made from soft silky swimsuit material (nylon/lycra) for fast drying and extra comfort. 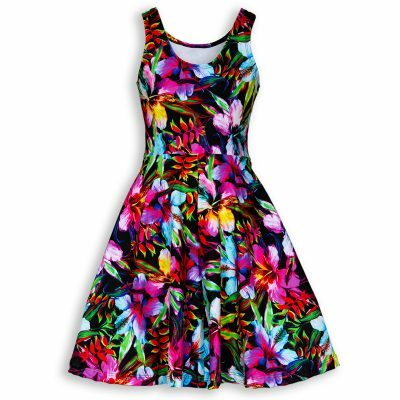 This is a close fitting, scoop neck tank top with a 4 panel flared skirt. 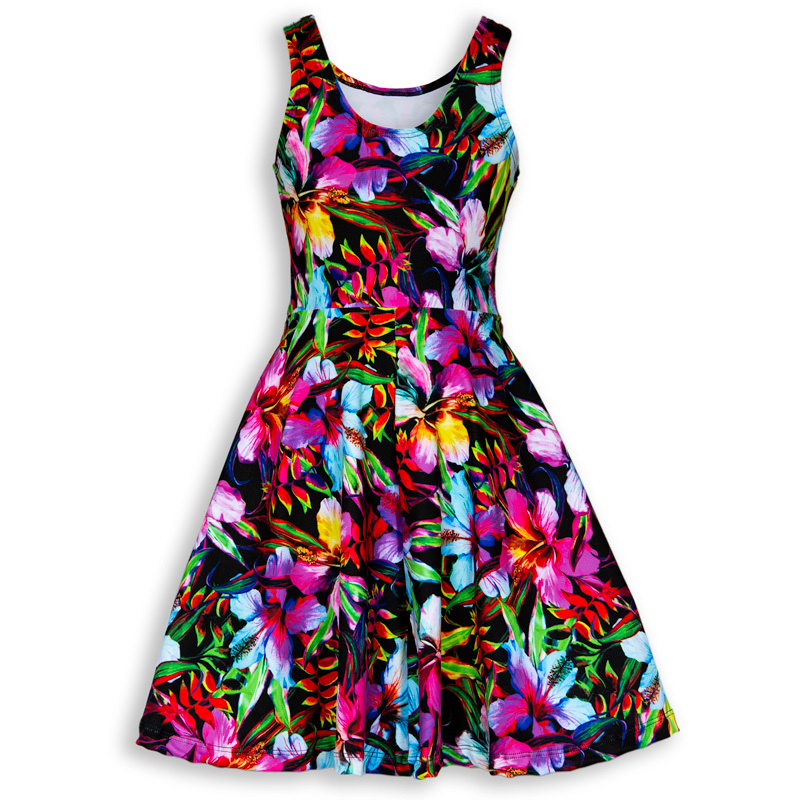 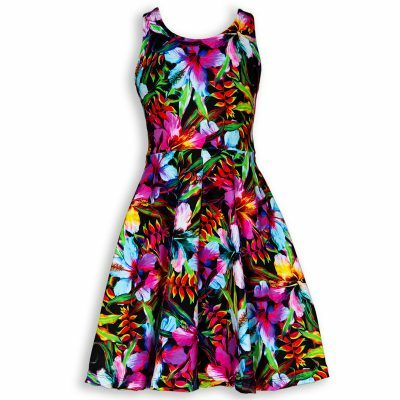 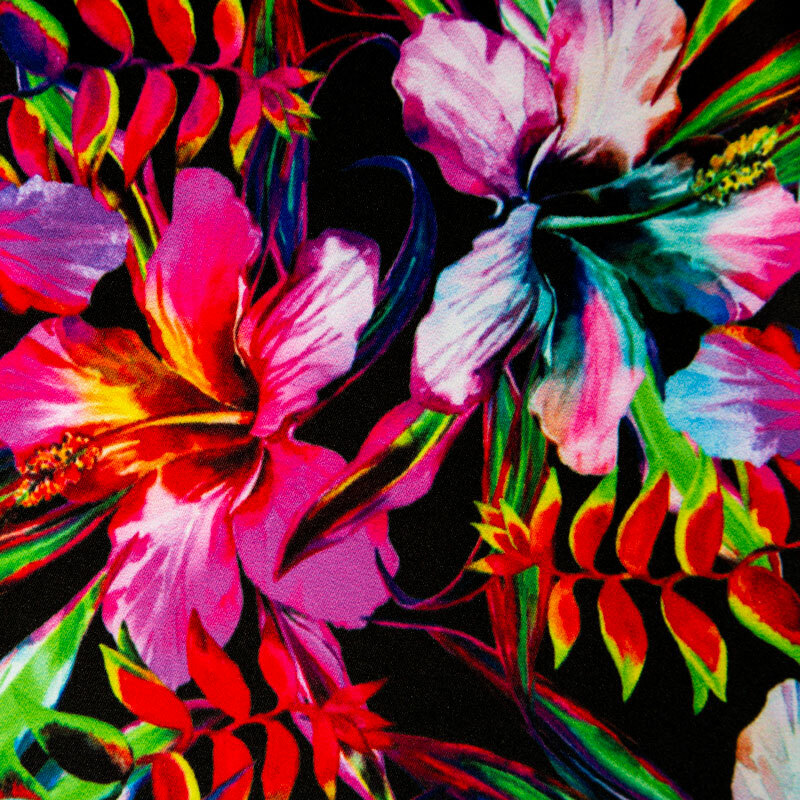 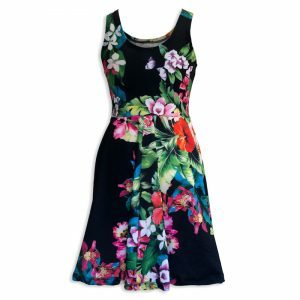 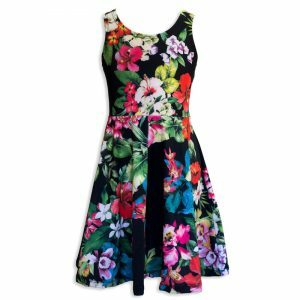 The Hug a Rainbow Holoholo Dress has a rainbow of multi colored hibiscus and heliconia flowers on a black background. 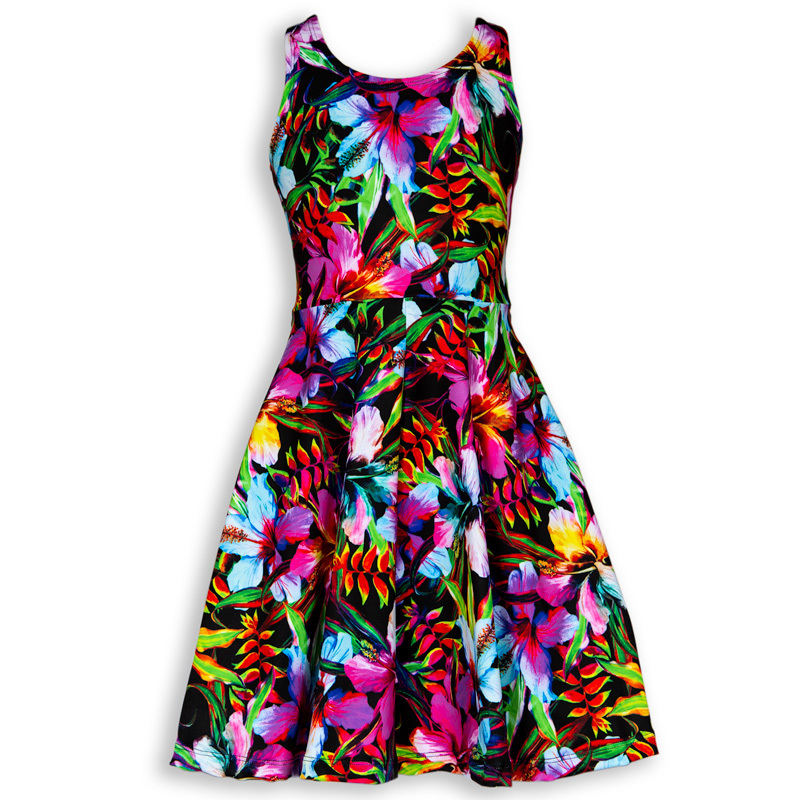 * *Holoholo Dresses run large. 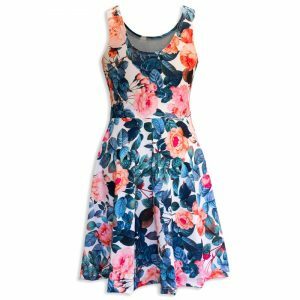 Please refer to our SIZING chart for the perfect fit! 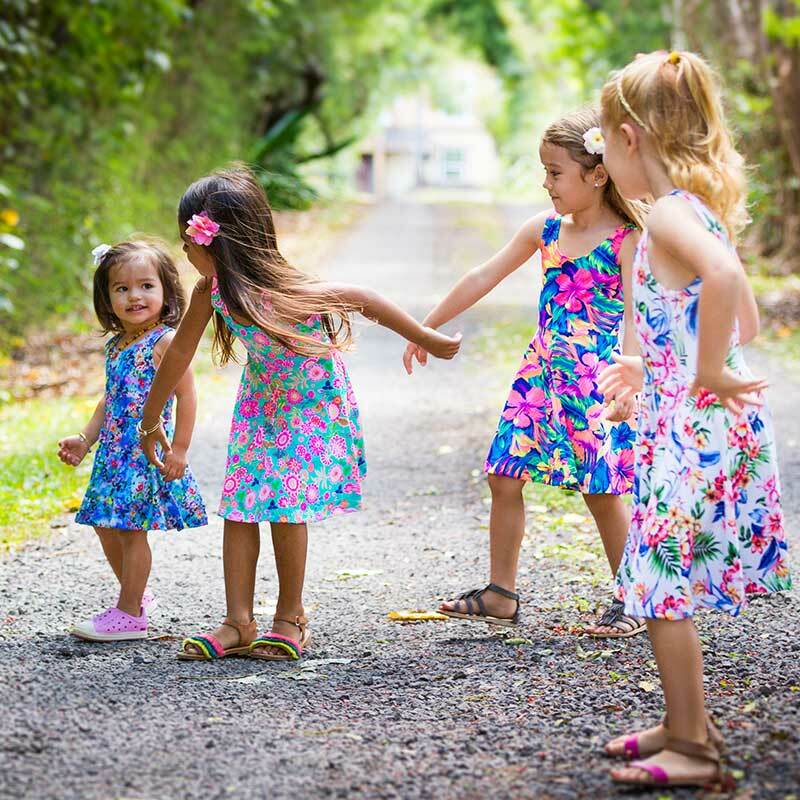 In Hawaii holoholo means to go for a walk, ride or sail….to go out for pleasure. 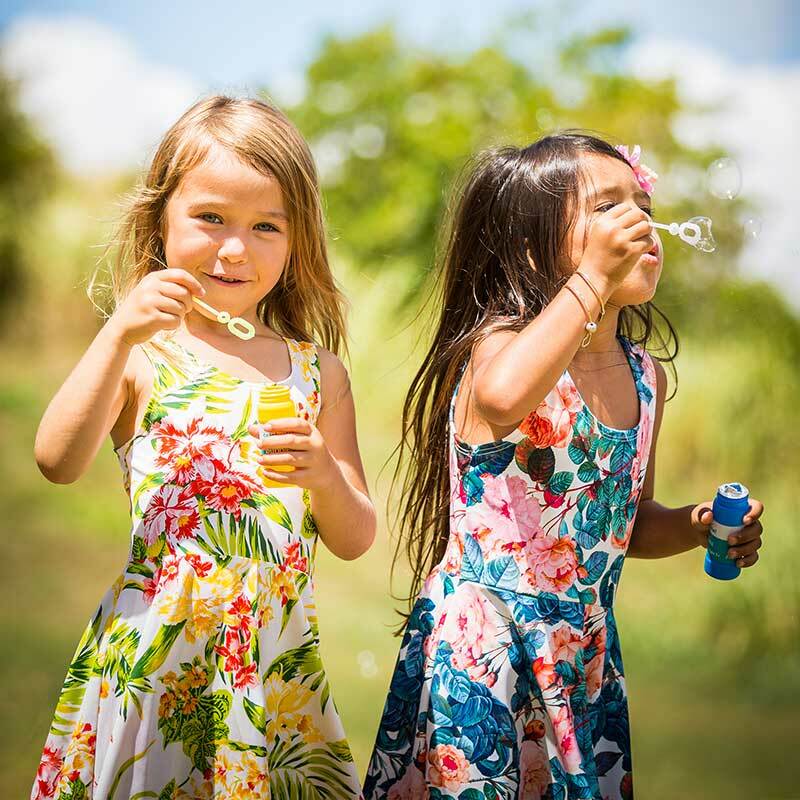 Going “holoholo” is all about journeying without a destination, clearing the mind and adventuring for the pure fun of it! 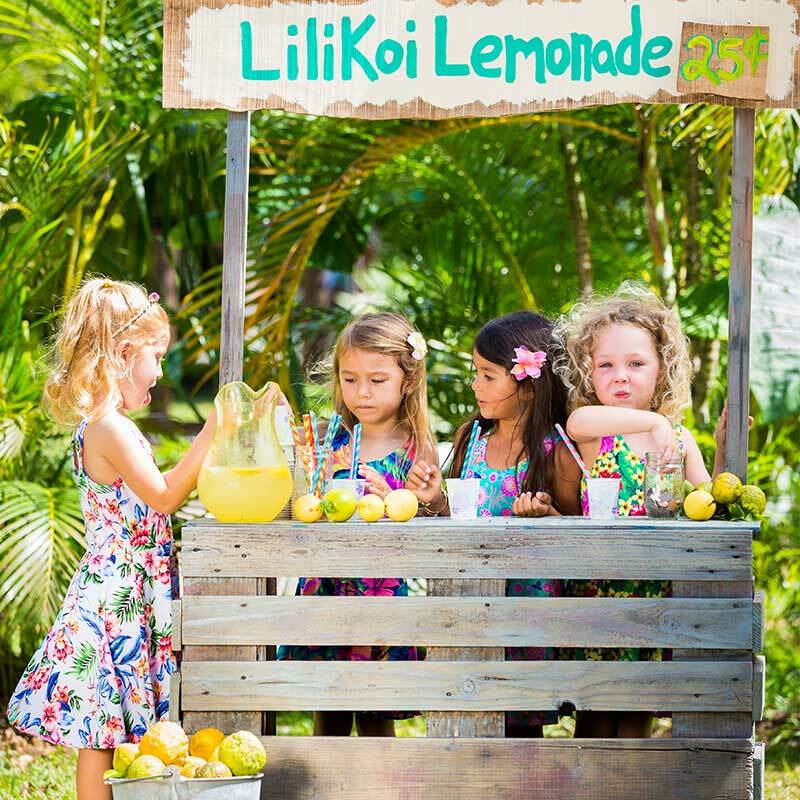 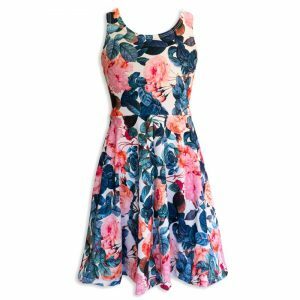 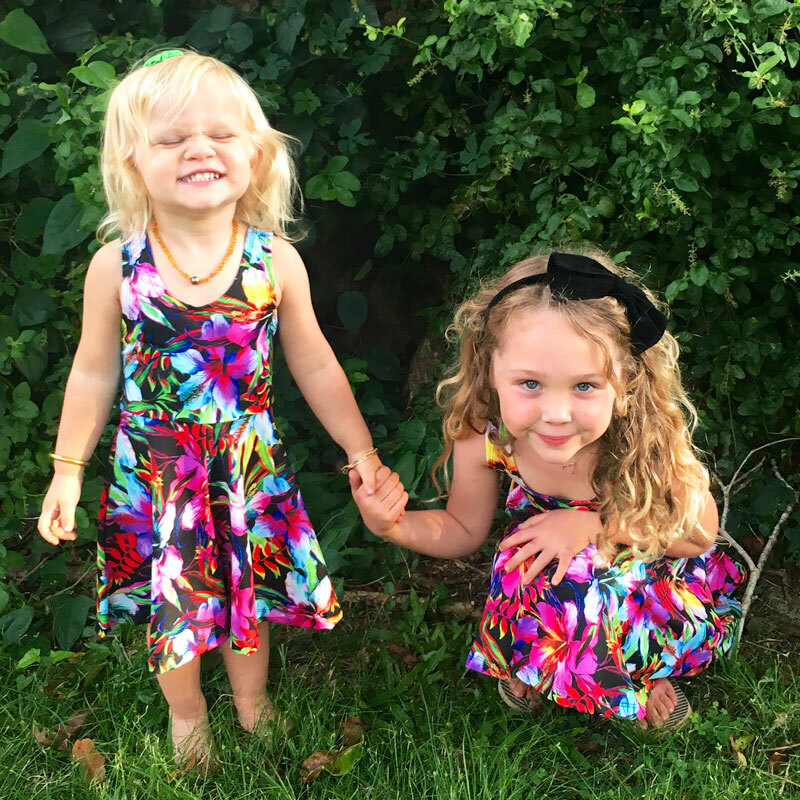 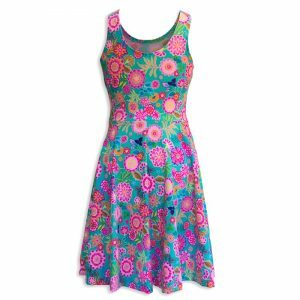 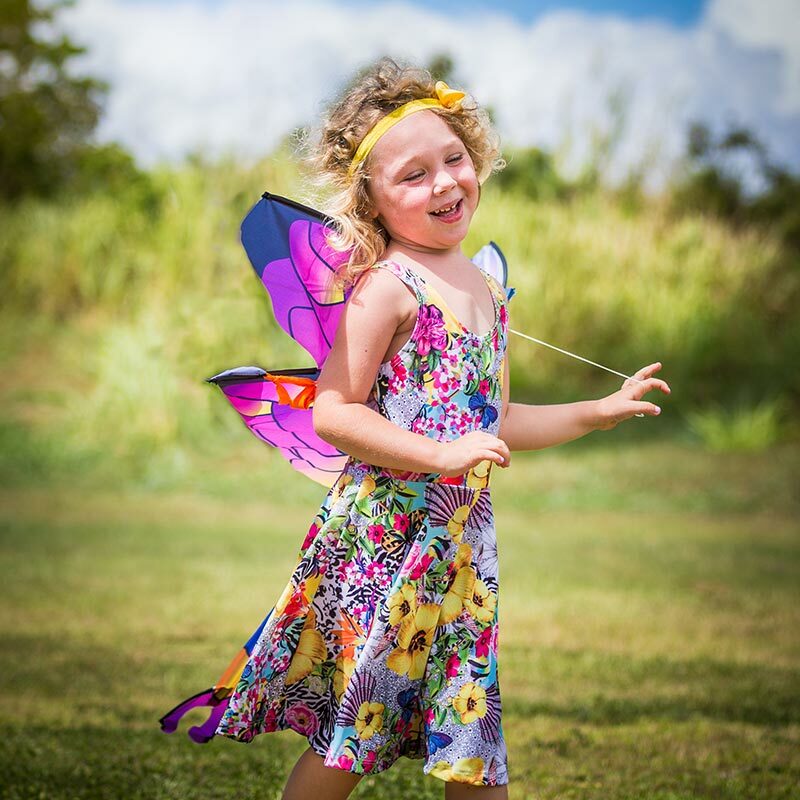 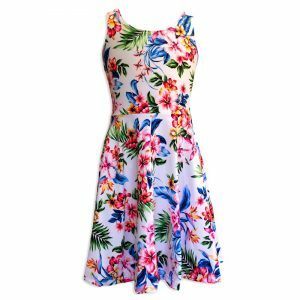 Island Inspired Girls Dresses – Made on Maui – Twirling Worldwide!